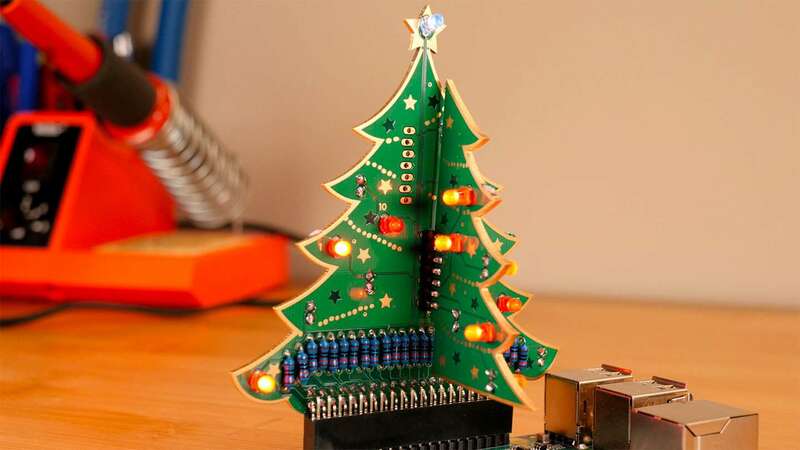 In this special holiday video, we'll explore blinky things with the 3d Xmas Tree Kit from The Pi Hut! Available as a solderable or pre-soldered kit, it mounts to your Raspberry Pi's GPIO pins to make for a fun, programmable, hackable Christmas thing. Check out the video below to learn how it works, how to assemble it, and some of the cool things you can do with it! I used the sample code that The Pi Hut provided here. I've recreated the software/steps below. First, connect to your Raspberry Pi. Then, follow the steps below. Run the script and make things blinky!